Moseley Oak took the lead against the run of play with an interception of a Dan O’Brien pass (sorry Dan). Stuey Houghton scored in the corner from a catch and drive line out, writes Sean O’Brien. The scorer of the next try will be disappointed because I didn’t see who finished the move that involved Ben Dawes, Sam Thompson, Ben Thompson and Duzza Ziba. Sorry. Next was a penalty try when Oak pulled down a maul that was tonking along towards their try line. 7-21. 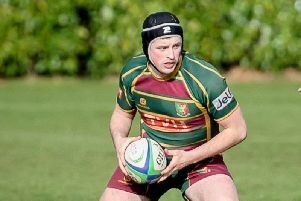 Ben Nuttall ran a score in under the posts from 20 metres and wasn’t sure how to put the ball down because he usually crashes over from such close range in heavy traffic. He dotted down with an unceremonious thud. He scored a second from his usual range of just under a metre. Danny Facer told me that the next try, finished nicely on the wing by Ed Scott - was the result of a Turtle move gone wrong, quickly adapted into a Pancake and a Banana to finish. Who am I to argue? Ben Thompson made some good runs, as did little brother Sam. Nick Walton and Duzza Ziba made some good hits. Joss Thompson earned his first team tie with a lively game. Curtley Bale has showed he’s a two trick pony at least, playing in the front and back rows of the pack. The young backs were dangerous all day. Josh Cooke’s scoring pass sent Dan O’Brien into the corner for a try, and a nicely executed switch from Sam Powell sent Lee Lightowler off to score the final try from his own 22. Newbold ended up with 52 points after Dan O’Brien’s plentiful conversions (taking his tally to 276 for the season), and relegated Moseley Oak scored 19 good points of their own. Good luck to them next year and hopefully for them a swift return to Midlands 1. So, Newbold finished third in a really tough league. A great achievement by coaches, players, excellent Team Manager Dave Smith and everyone involved in the club. The season in a nutshells reads; Newbold started the season like a train and were the best in the league for the first third of the season. We dipped mid-season, dropping bonus points and losing just a few games. Our opponents were all so much stronger second time around. We then recovered well for the last month of the season, but it was too late for the play-off spot deservedly taken by Dudley Kingswinford. We’ll be strong again next year. A bit more strength in depth and some more competition for places would always be welcome however. Planning has started. 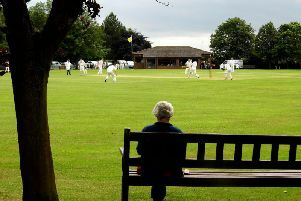 I’ve loved watching Newbold again this season, and enjoyed writing the match reports (uncut versions available on Newbold RFC website). This duty now passes for a while to someone with literary skills. I’m off to join the circus.